What colour is a burp? Burple! How do you get a baby astronaut to sleep? Rocket! 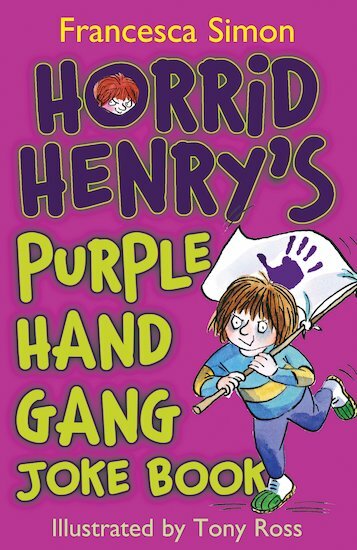 Laugh your head off with Horrid Henry, Rude Ralph and the rest of the Purple Hand Gang! In this very special book, Henry and his playmates select the best, worst, most horrid and most ridiculously rib-tickling jokes sent in by Horrid Henry fans like YOU! Jokes naughty enough to give Henry a turn! Jokes to make his parents shudder! And if you’re the kind of fan who has mailed in a joke, perhaps you’ll even find yours here! 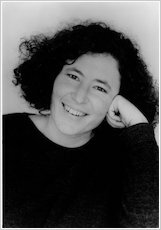 Please tell me a joke from the book! Realy cool jokes made me and my firends lol! !